Home Basal Readers Educators Inspiriation Learning Motivation Passion Reading Reading Workshop Self-Reflection Teachers Teaching Preparing teachers: learn to unlearn later? Even though I may not always have time to post or participate as much as I would like, I consistently “lurk” and never miss reading the emails that I receive. 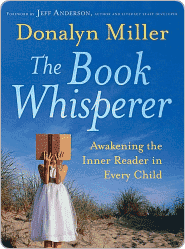 Currently, the group is discussing Donalyn Miller’s book, The Book Whisperer. Members are responding to questions regarding the first chapter. The passion in which the members are responding and reflecting on their early teaching experiences is enlightening. 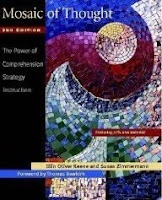 Many began with basals and through hard fought battles, found ways to use the philosophy of Ellin Keene, Susan Zimmermann and Donayln Miller. One: It frustrates me when people say “play devil’s advocate” as a caveat for excusing their opinion. Just say what you think. It makes for a weak argument to begin with this overused cliché. Two: I know that all of us in our rush to respond will make grammatical errors, but seriously, ending with a preposition also bothers me and weakens the argument. Three: (This is my big one!) I sent my children to a Montessori nursery school because I embrace the philosophy of “follow the child.” Moreover, I believe children should learn something in the manner in which it works in the real world. For example, my children learned how to hang their coats on hangers, not hooks. They learned to pour water from a pitcher (even though it was messy more than once), use utensils properly and take responsibility for their environment. The foundation they received set the precedent for future learning. They didn’t have to learn and then unlearn later. When I hear that fellow educators think that a teacher should learn how to teach reading by first using a basal, well… let’s just say that I had a visceral reaction. This is the antithesis of all I believe. Why would we teach them the wrong way to then have to re-teach them the right way? Furthermore, the teachers with whom I work will not put down the basal because they are afraid of change. This is the way they were first taught to teach. The teacher’s guide is like a security blanket. Also, they see the amount of work I do rather than giving multiple choice tests. They are not comfortable seeing my students spread out all over the room: under tables and desks, reclining on the floor, propped up, etc. It appears chaotic and can be like an obstacle course. Along with this, my students meet with me daily in small groups or one-on-one where we discuss what they read along with reflecting their comprehension in journals. Breathe, Nancy! This is a hot button for me. Once I re-read the comment and ignored the preposition, I realized that the writer had a valid point at the end. Maybe we should address how we are preparing our teachers. I am scheduled to have a student teacher this fall. She was my observer for most of last spring, and fortunately for both of us, she is passionate about reading workshop! I will teach her the right way the first time! Interesting discussion. It makes me nervous when teachers won't put down the basal reader teacher edition. When I taught in CA, the Title 1 schools were MANDATED to read word for word from the book (which got me so angry, I was speechless). When will people understand that teaching isn't a formula? There is a balance of science and art in teaching. Prescribing a basal reader formula takes all of the art out of our jobs. I would much rather have books in the hands of children even with an inexperienced teacher. There are so many questions I have to wonder about when teachers are using basal readers. The biggest is, how is differentiation occurring in the classroom? Never mind the questions about the quality of the reading or the development of the child's reading life. Easier to put the structure of a workshop in place and support new teachers in learning how to assess, plan, and guide students.